This is the first in Candid’s new HQ Hi-Quality presentations. Sixteen of Stacey’s finest Candid tracks have been specially re-mastered in Japan by Evosound. The results are truly astounding. 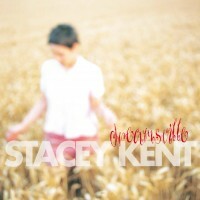 You can hear Stacey as you never heard her before performing her best known Candid successes ranging from Say It Isn’t So to I’ve Got a Crush on You and from Close Your Eyes to Dreamsville. 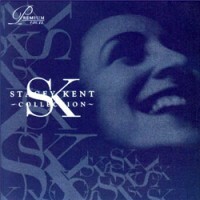 A must have for all Stacey Kent devotees. 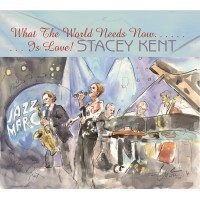 Stacey, now boasts eight best-selling albums, including the Grammy nominated, Breakfast on the Morning Tram (platinum), The Boy Next Door and Raconte-Moi, both of which achieved Gold status, a string of awards, including the British Jazz Award, the BBC Jazz Award for 'Best Vocalist,' the Backstage Bistro Award for best live performance, as well as a fan base that enables her to sell out concert halls around the world. Stacey also went on to receive the CHEVALIER DANS L'ORDRE DES ARTS ET DES LETTRES, awarded to her by the French Culture of Minister. Since the release of Stacey's first album, CLOSE YOUR EYES, she has achieved, without compromise, both critical and popular success, with her fresh and heart-felt interpretations of the finest love songs of the twentieth century. But it was a feature on CBS SUNDAY MORNING in 1999 that gave Stacey national exposure in the USA and brought her to wider recognition. Since then, her career has continued to expand internationally, with Stacey traveling worldwide to concert halls from Taipei's Chiang Kai-shek Concert Hall to Carnegie Hall to the famed Olympia in Paris. Stacey's admirers are not limited to the loyal fans that buy her albums and pack out her concerts. Clint Eastwood invited Stacey to sing at his 70th birthday party, Michael Parkinson invited Stacey to sing on his television show, as did Sir David Frost, who asked her to join him one Sunday morning, to sing a song and review the morning papers with him on "Breakast with Frost" and Aerosmith's Steven Tyler , in a recent interview, listed Stacey, alongside Willie Nelson, as being among his favourite singers. Most tellingly perhaps, Stacey is appreciated by the writers of the songs she sings. Three-time Oscar-winning songwriter, Jay Livingston, wrote of her, "Stacey Kent is a revelation. There is nobody singing today who can compare with her. She has the style of the greats, like Billie Holiday and Ella Fitzgerald. And she sings the words like Nat Cole - clean, clear and almost conversational with perfect phrasing. And that's as good as it gets." It is not easy to account for Stacey's success and she herself remains characteristically coy. What is sure is that Stacey has a voice that grabs you. It demands to be listened to and yet never draws attention to itself. As her collaborator, Ishiguro put it in his liner notes to her 2002 album, IN LOVE AGAIN, "In song after song, we find a route to the emotional heart of the music without first having to admire her technique." Stacey's natural and unaffected delivery allows the craft of the songwriters, whose work she performs, to shine through. She has an appeal that transcends category. 05) Isn't This A Lovely Day?